Intuit QuickBooks is one of the most popular cloud accounting solutions on the market, especially in the small-to-medium-size business (SMB) segment. Their platform offers easy deployment, a full range of features, and budget-friendly subscription pricing. Over the years, Intuit has grown not only a successful platform, but a massive network of accountants, advisors, clients, and training resources. So it’s hard to deny the power of their reputation. QuickBooks has been the workhorse of the accounting tech world since the 1980s, although the modern, cloud-based platform didn’t materialize until the early 2000s. Based on their features list and case studies from numerous industries, there’s not a whole lot that QuickBooks Online can’t do. The platform is designed to help small businesses and accountants manage finances from end-to-end. 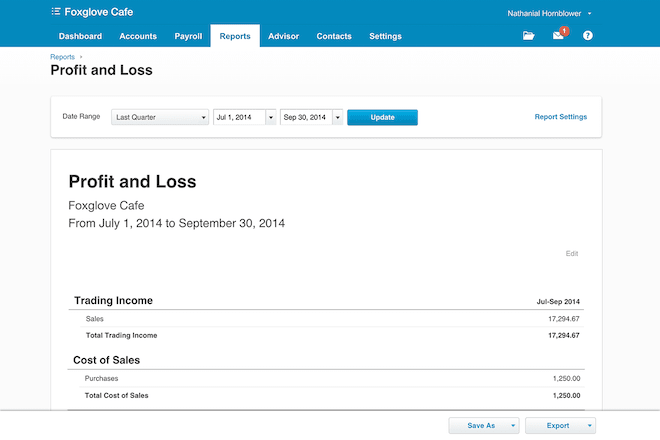 You can track sales and revenue, pay bills, pay employees, and send invoices to clients. The cloud-based platform comes in three product tiers, based on features and number of users, and a separate version is available for independent contractors. QuickBooks also offers desktop deployment, but you’ll still pay a monthly subscription price. Maybe you find yourself among the 1.4 million users or 50,000 accountants who subscribe to QuickBooks Online. Or maybe you’re shopping for an accounting solution and encountering Intuit at every turn. Intuit is great, but there are other options, and you’d be remiss not to consider them. 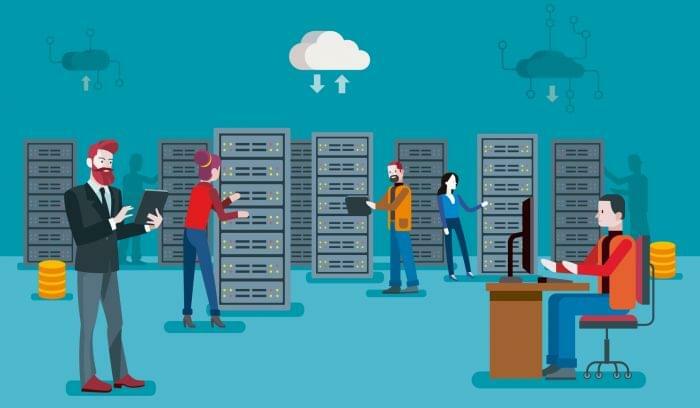 That could mean comparing a handful of cloud accounting tools during your research process, or it could mean switching vendors, if you already own a subscription. 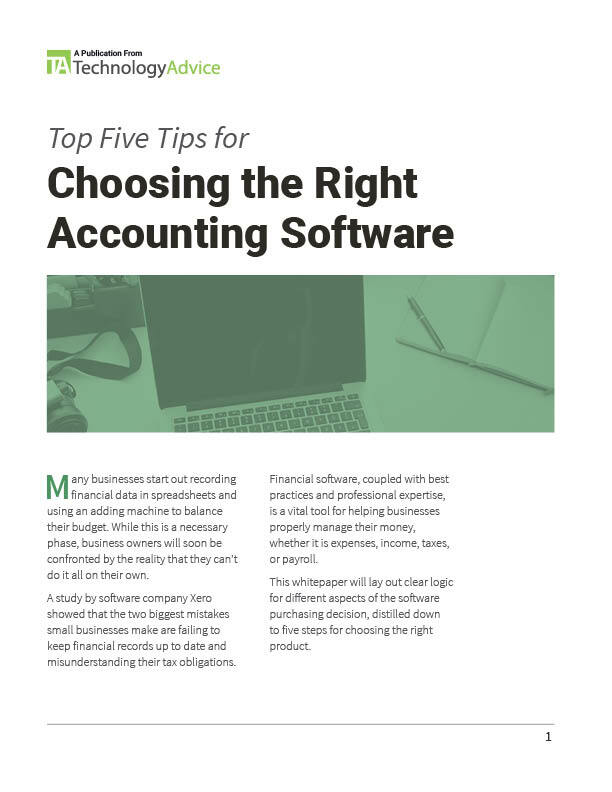 In this article, we’ll highlight five QuickBooks alternatives to help you make an informed purchase. Xero vs. QuickBooks is one of the most infamous rivalries in cloud accounting. On their homepage, in fact, Xero labels their solution “the online accounting software alternative to QuickBooks.” They even offer a three-hour conversion service to bring QuickBooks data into Xero for customers who decide to switch. On the surface, Xero isn’t dramatically different than QuickBooks. They offer many of the same features: invoicing and estimates, bank reconciliation, inventory management, order management, billing and expenses, and payroll. You can use over 40 built-in reports to track financials and keep an eye on your profitability, or configure your own custom reports. Xero supports over 160 world currencies and supports native integration with 500+ add-ons. Similar to QuickBooks, they host a Partner Program to help accountants access industry tools at a discount and connect with new clients. 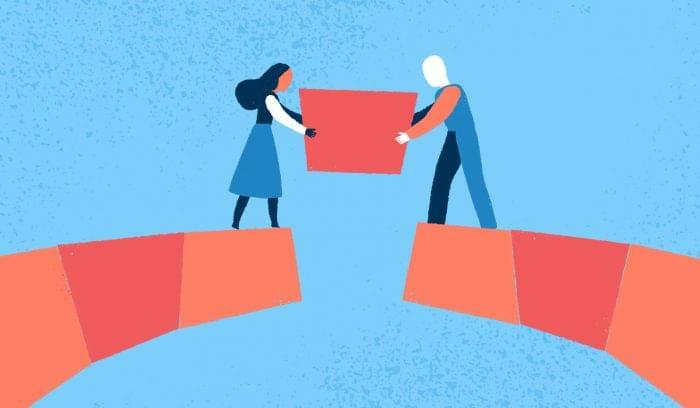 One of the biggest differentiators between Xero and QuickBooks (user experience aside), is that Xero lets you add unlimited users to any subscription for free, whereas QuickBooks limits customers to one, three, or five users depending on product tier. Xero also provides better functionality for time tracking (built-in time sheets) and includes free payroll processing for a small team with their Standard and Premium editions. 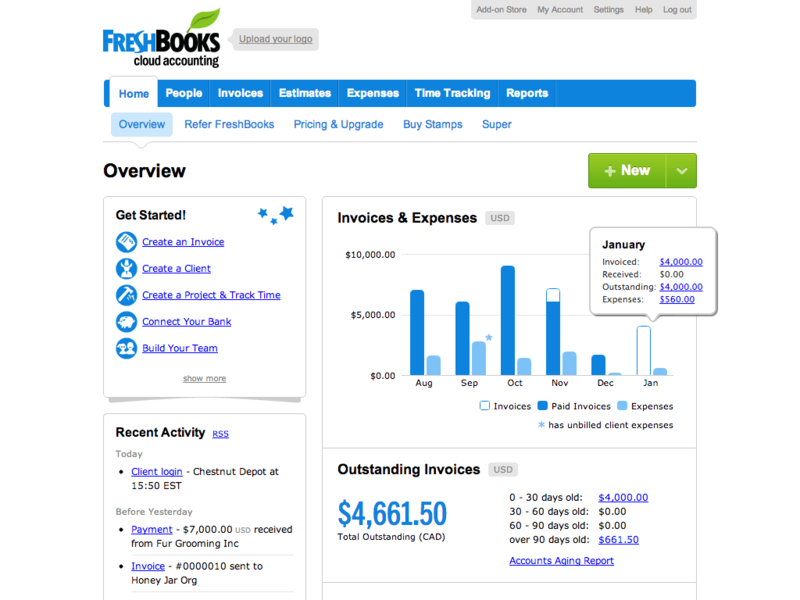 Another leading vendor in the cloud accounting vertical, Freshbooks’ platform offers invoicing, expense management, time tracking, reporting, and payments for client-based businesses. Their software was originally built as an invoicing tool, but as you can see, they’ve added several features over the years. You can use FreshBooks to create custom invoices, send them to clients, and accept online payments, but you’ll need an add-on to sync bank accounts, track inventory, or create purchase orders. FreshBooks does not provide their own payroll service. The benefit of their invoicing emphasis is that FreshBooks offers several unique reports to help businesses manage accounts payable — e.g. “account aging” and “time to pay” reports. 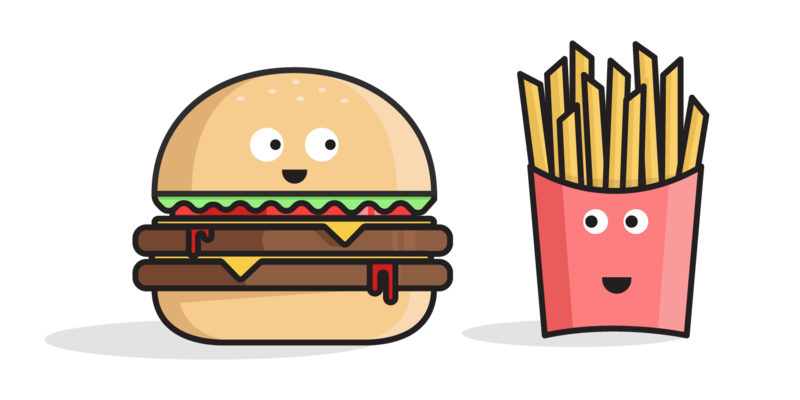 Pricing is comparable to Xero and FreshBooks, although your subscription rate will primarily be determined by the number of clients you serve. Intacct is technically an enterprise resource planning (ERP) platform, but like many ERPs, it has a strong financial focus. It’s also a modular system, so you can purchase and implement specific tools based on your needs. Available features and functions include accounts payable, accounts receivable, cash management, ledgers, order management and purchasing, inventory, revenue management, time and expense tracking, and a few others. Intacct would be a good fit for companies that need to manage financials, but also keep track of resources, projects, and assets moving in and out of the business. It does not include a payroll feature, but that might not matter if you already use an outside service. One unique feature? 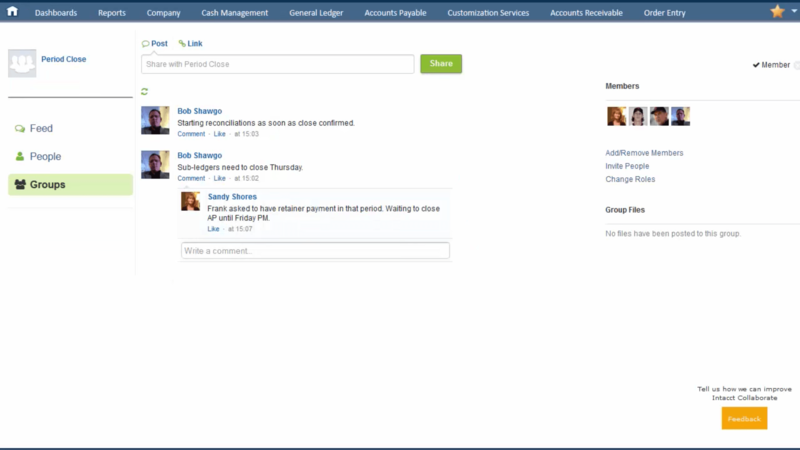 Intact Collaborate: a secure social layer embedded in the system that lets users communicate about issues and decisions in real time (see image above). If you’re familiar with FinancialForce, you know they offer a broad range of products for ERP, professional services, finance, and HR. 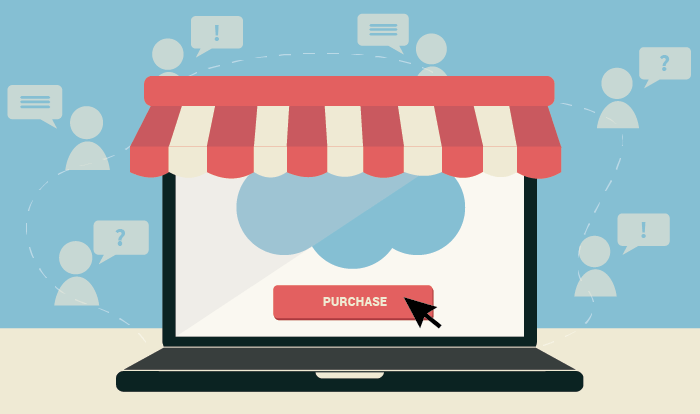 All of their products are built on the Salesforce platform, which means they all integrate with the infinitely expanding Salesforce app cloud — a distinct advantage when it comes to horizontal compatibility. The Financial Management module includes tools for accounting, revenue management, inventory, and spend management. Users can track fixed assets as well as accounts payable/receivable and report on any number of financial metrics with statement templates or custom reports. If you work from Salesforce CRM, you can manage cash flow from directly within customer records, whether that means posting an invoice or viewing a customer’s credit rating. 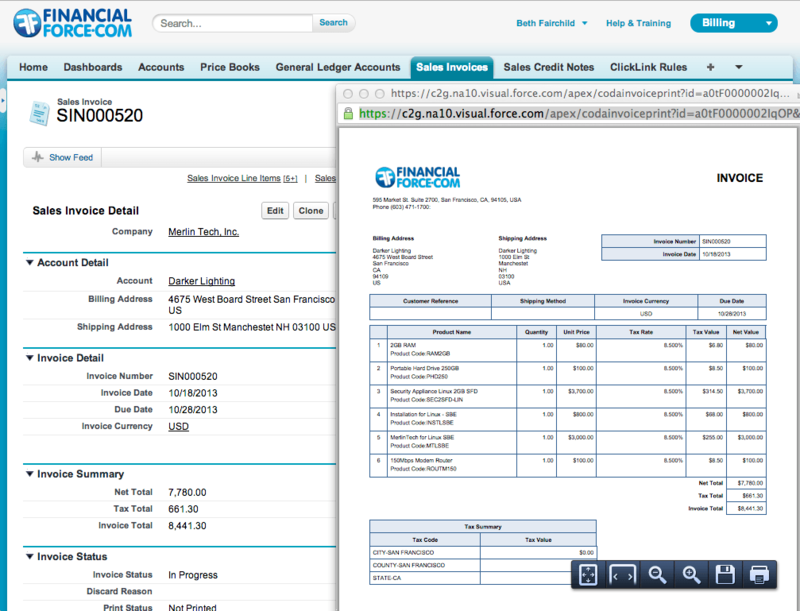 FinancialForce also offers features for vendor management, purchase ordering, billing, and revenue recognition. No built-in payroll service, but again, FinancialForce is an ERP system, so their focus is much broader. 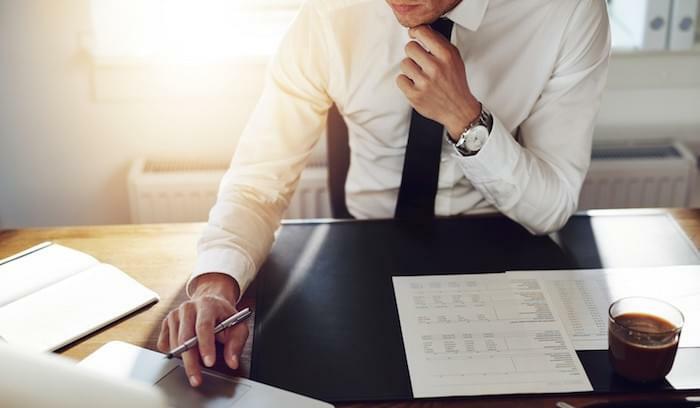 Since they specialize in accounting and financial management solutions for SMBs, it would be hard to compare QuickBooks alternatives without mentioning Sage. With over six million customers and a dedicated accountant network, Sage is a force to be reckoned with. 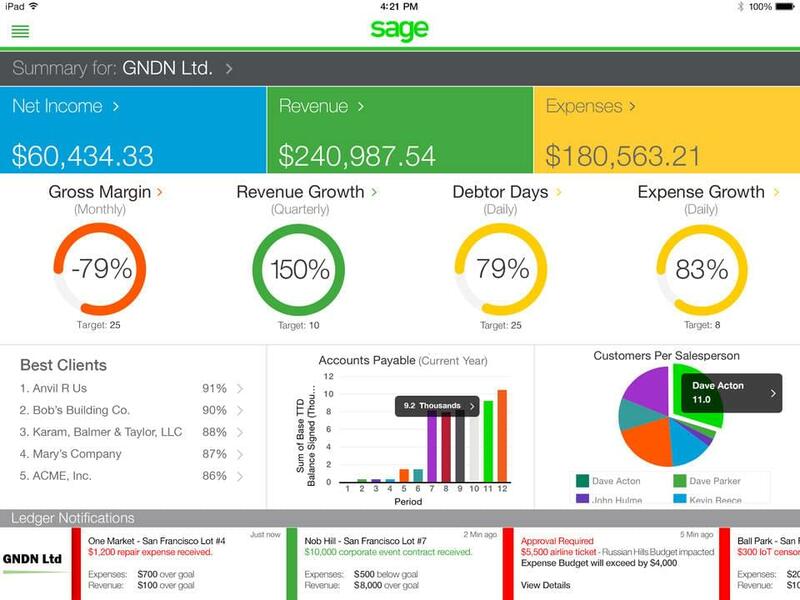 Among their 20+ products, Sage Live and Sage 50 are the most comparable to QuickBooks. Sage Live is the mid-grade cloud solution, which supports 1-1,000 users and offers a full features package out-of-the-box. Sage 50 adds time tracking and job/project management, but is only available for desktop PCs. Similar to FinancialForce, Sage was built on the Salesforce1 platform, so you’ll have access to a wide variety of integrations and interoperability without going through an API. Other features include bank synchronization, expense management, bill pay, check printing, inventory management, multi-currency support, and financial reporting. Sage’s payroll service is available for an additional monthly fee. A vendor’s reputation is important, but you should also choose a solution that makes practical sense. The best approach is to build a shortlist of 3-5 vendors and then compare them in greater detail, run a free trial, get price quotes, etc. Keep in mind, these five (six, including QuickBooks) are by no means the only cloud accounting solutions on the market. To see a full list and get a custom recommendation for your business, visit our Product Selection Tool. Learn more about the benefits of Accounting with our market-leading research. When I started my business my relative recommend slickpie. I said no my business will be medium and I need something like QuickBooks. The worst thing I ever did. I hated using Quickbooks, It was complicated. Everything took too many steps, invoices were hard. Then I used slickpie.com to send out invoices and it works so well. Now I turn Invoices 10 times per year and not longer have cash flow issues. Thanks for sharing your experience, Micheal! I have been using Slickpie accounting software. Over time I have used it for more and more businesses. It only takes a couple of minutes to set up a company and send an invoice. The software works fine and it’s pretty simple to use. The document upload feature is really handy.